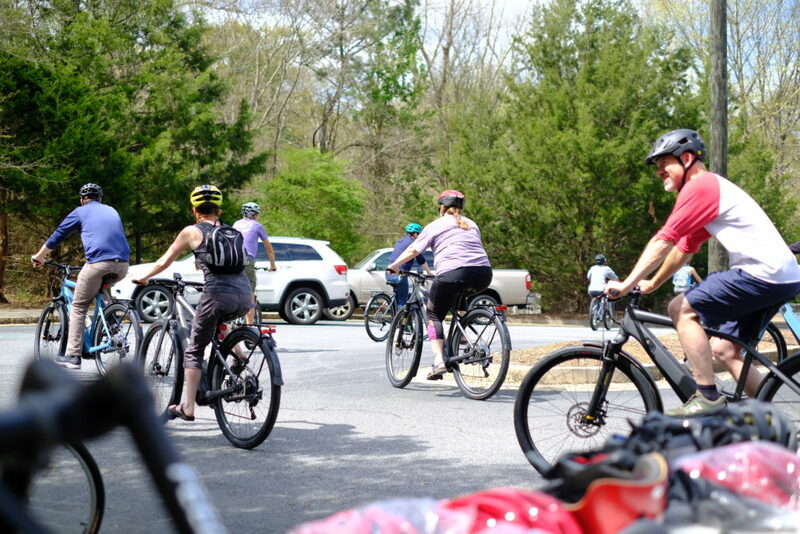 Athens officials spent an afternoon riding bikes this past Saturday. Mayor Kelly Girtz and Commissioners Mike Hamby, Ovita Thornton, Mariah Parker, Tim Denson, and Melissa Link along with Leisure Services Assistant Director Mel Cochran completed an 8-mile loop on electric assist bikes. 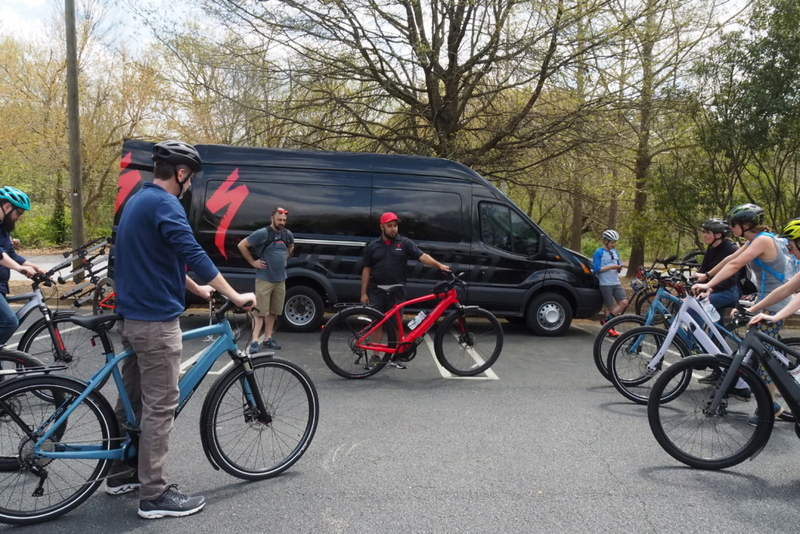 The ride started at Dudley Park where Micah Morlock from Georgia Cycle Sport set everyone up on Specialized e-bikes and reviewed how they work. 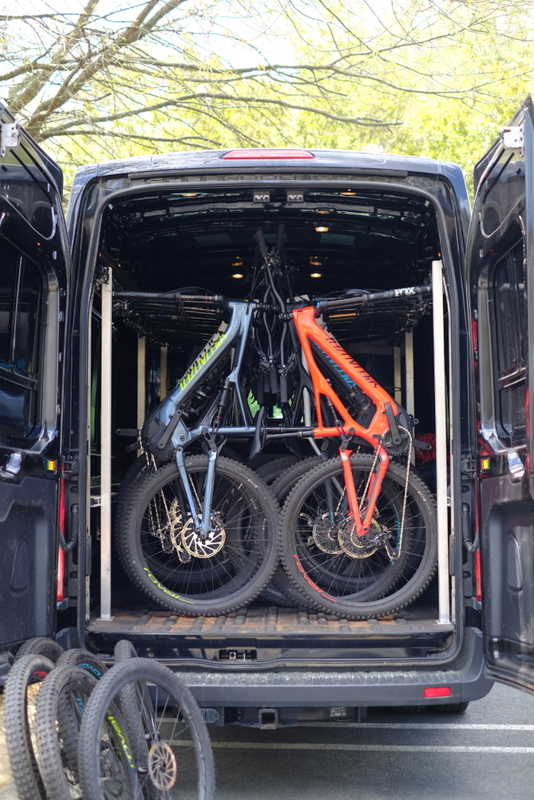 Electric assist e-bikes require riders to pedal and change gears but also allow them, with the push of a button, to use three levels of electric assist to help them up the hills and on longer routes. 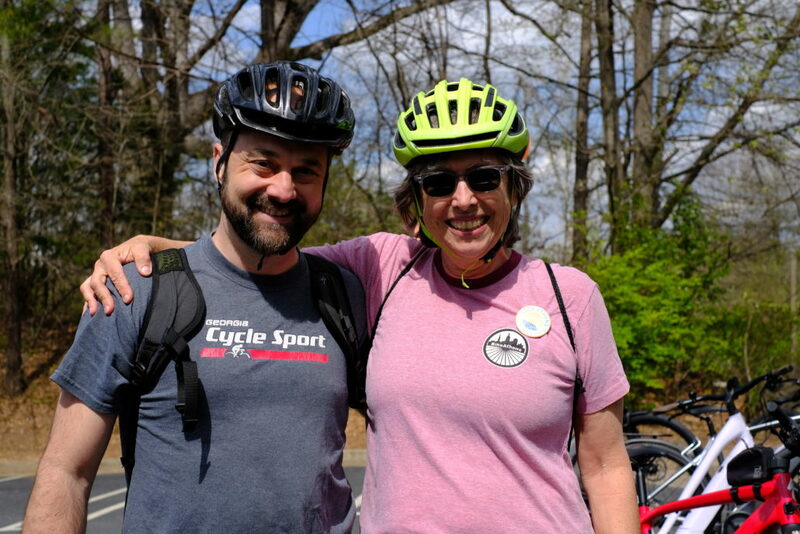 BikeAthens board member Carol Myers organized the ride to not only highlight the power of e-bikes to transform transportation but also to give local government leaders a “visceral experience” of some of the latest ACCUG bicycle and trail projects. 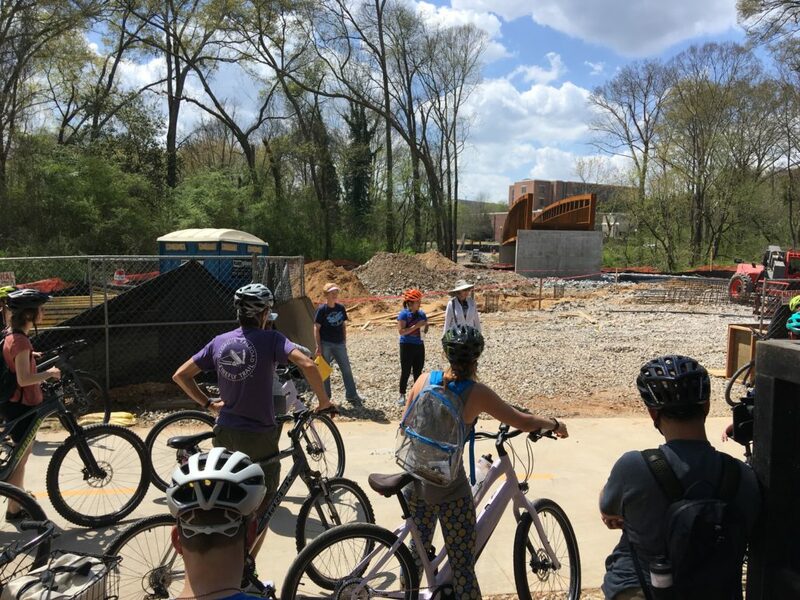 The group, joined by other local cycling advocates, rode through the Dudley Park to the Firefly Trail where they stopped at its Poplar Street terminus to view the wooden REM Murmur trestle. Eventually, a 500-foot bridge will cross the expanse originally covered by the trestle to join to Firefly Trail to downtown Athens. At the trail’s temporary end at Old Winterville Road, Firefly Trail, Inc. director John Kissane talked briefly about the next steps for completing the Athens Clarke County portion of the trail through Winterville, funded with over $16 million in TSPOST 2016 funds. 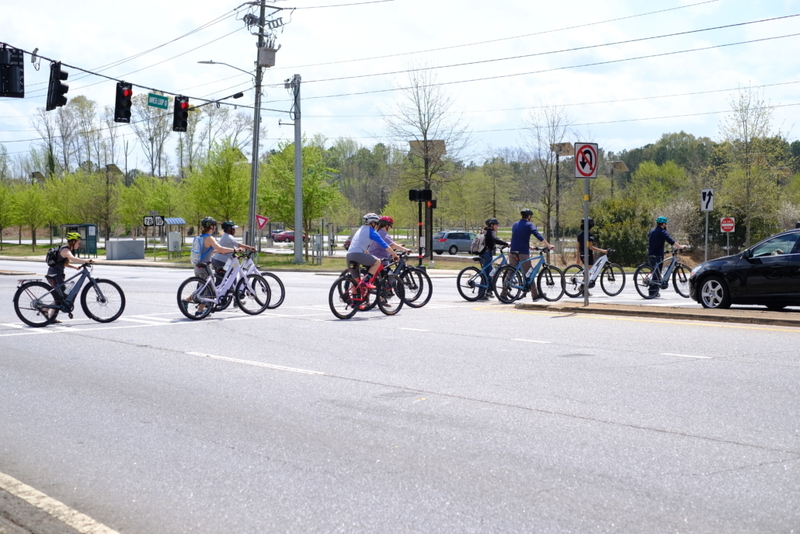 Riders continued across Oconee Street just inside the bypass by Waffle House to ride on the recently completed section of the Greenway over to College Station Road. Midway through this 1.7-mile section of the ride, Greenway Commission members Karen Porter and Susie Haggard showed off the new bridge over the N.Oconee River that will be completed this summer. 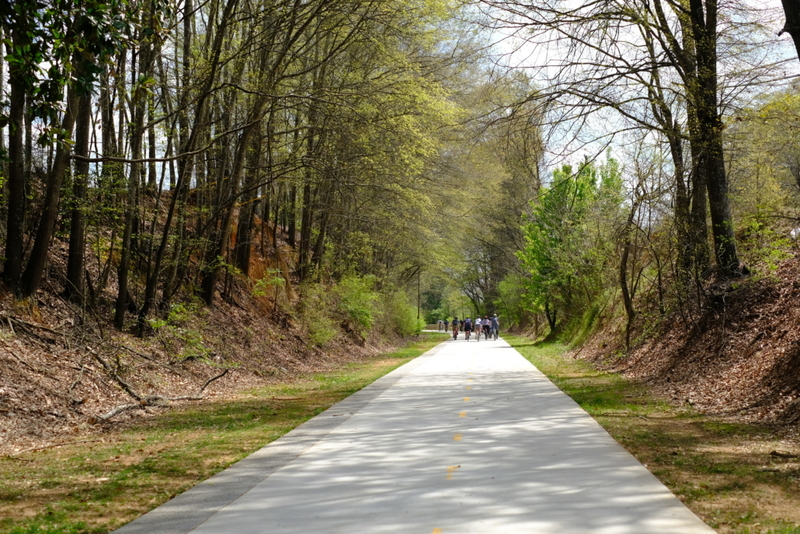 When finished, the Greenway will connect to the UGA campus on River Road close to the Performing Arts Center. Carmen Kuan, a former intern with the UGA Office of University Architects, discussed this critical connection. 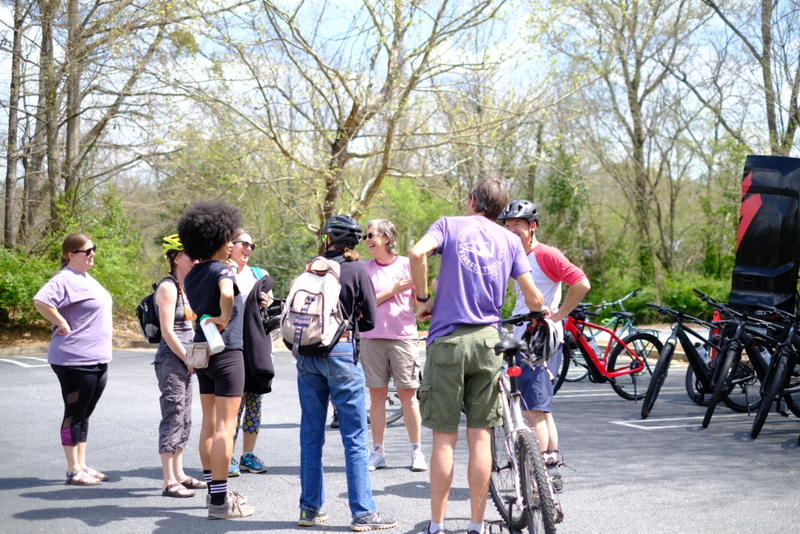 Before leaving the ease and safety of separated bike trails, the group stopped at the Greenway trailhead off College Station where Georgia Bikes Executive Director and Complete Streets Athens member Elliott Caldwell explained the importance of updating the the county’s complete streets policy. A strong community Complete Streets policy directs transportation planners to routinely design and operate the entire right of way to enable safe access for all users, regardless of age, ability, or mode of transportation in contrast to a car-centric approach to transportation. 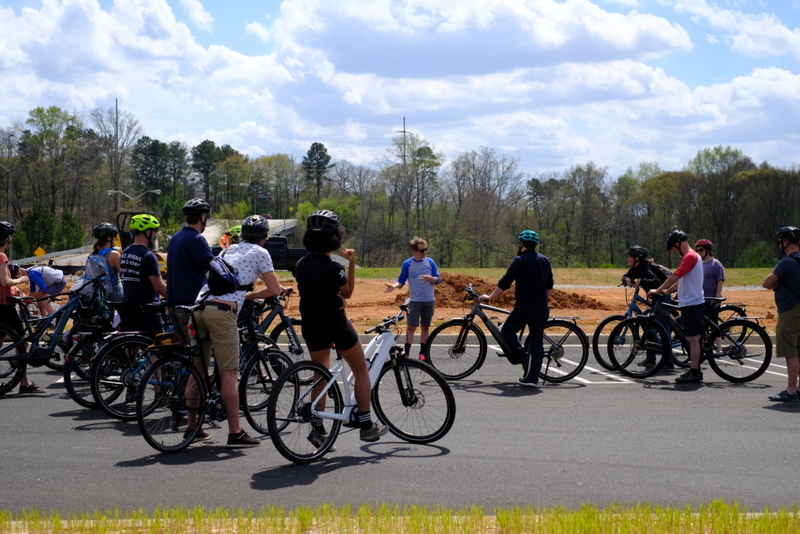 The group proceeded towards west via the bike lanes on College Station where they experienced merging into traffic to proceed straight onto Southview Dr, a tier-2 bicycle project in Athens in Motion, ACCUG’s new bike pedestrian plan. 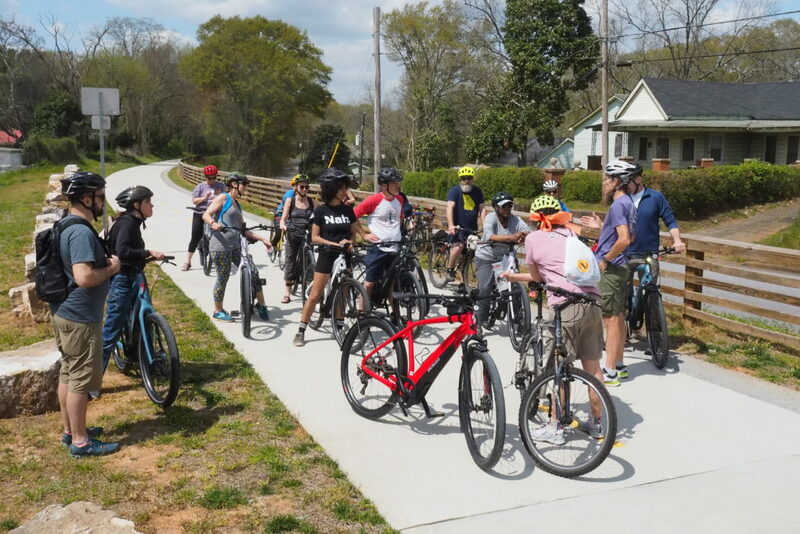 The route then took them onto Milledge Avenue (a tier-1 bike project) to the BikeAthens Broad Street location. 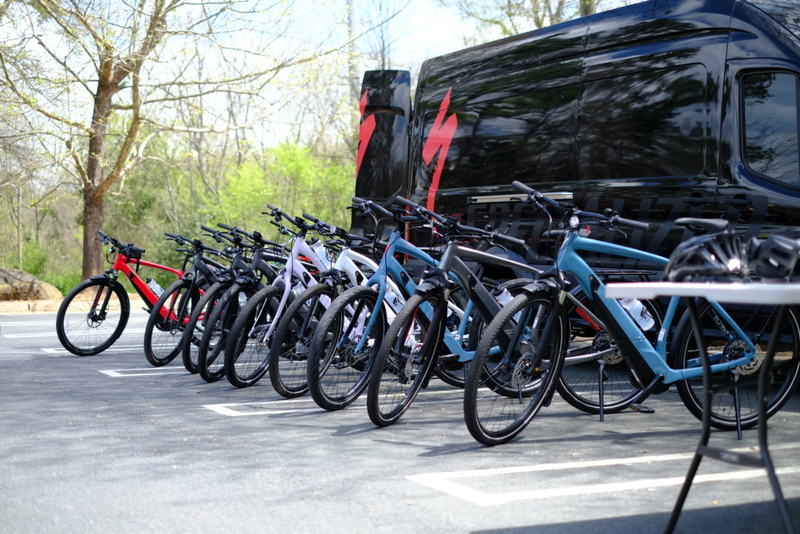 At this stop, Georgia Cycle Sport Micah Morlock talked to the group about the phenomenal growth of the e-bike market. Michael Songster represented 100% Athens Renewable Energy Initiative, a grassroots campaign to transition Athens to using carbon-neutral energy sources by 2035. In the U.S. transportation creates 28.5% of carbon emissions. Electric-bikes clearly reduce a person’s carbon footprint. They create about 13 grams of CO2 per mile compared to 380 grams per mile for a standard gasoline car and 129 for a totally electric car. A highlight of the bike tour was a chance to see BikeAthens Bike Recycling Program. 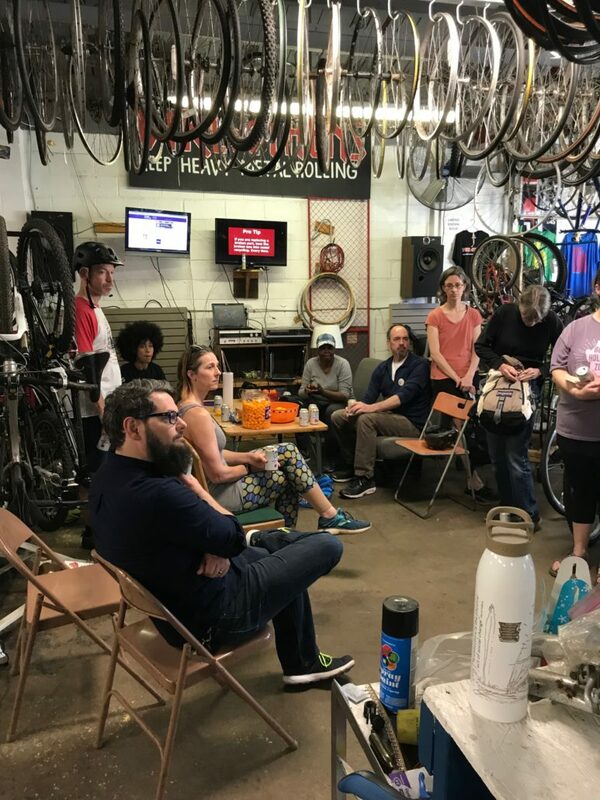 BikeAthens shop director Scott Long and his crew of volunteers (1,997 volunteer hours in 2018) donated 190 bikes to those in need through partner organizations like Action Ministries, the Sparrow’s Nest, and Project Safe and helped “essential riders” with with 185 recorded sliding scale or free repairs. 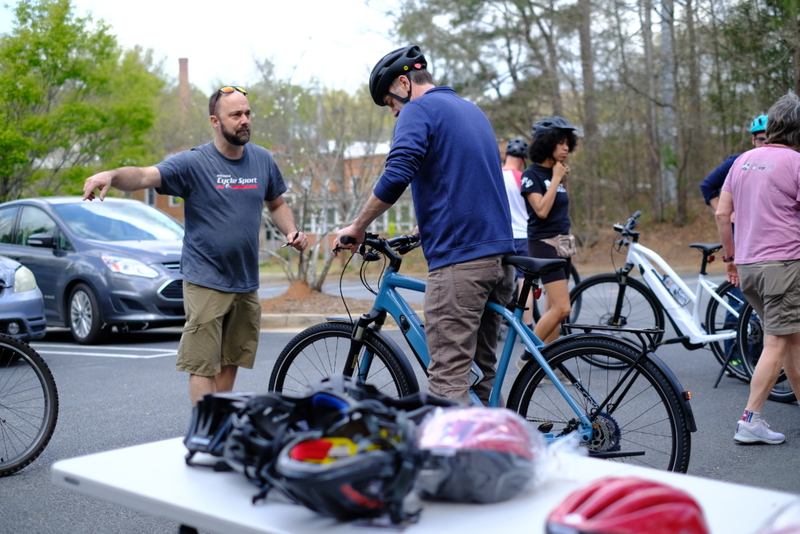 BikeAthens board president Jason Perry talked about one BikeAthens client recovering from substance abuse who has used BikeAthens services for going on a decade. He recently received a replacement bike for his original bike that was destroyed in a bike crash that could have easily cost this man his life. For many in Athens, a bike is the best, most affordable, and perhaps only form of transportation. 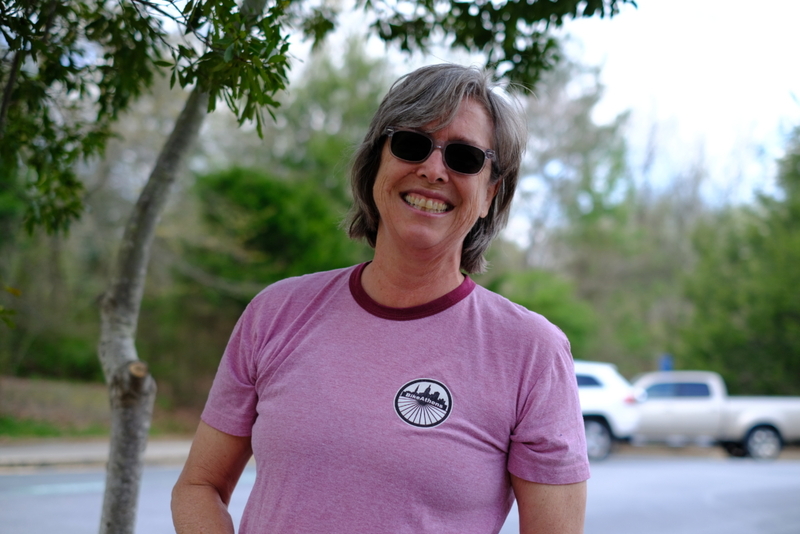 BikeAthens’ emphasized the equity focus of their mission. Scott and other BikeAthens volunteers, reflected on how working with “essential riders” grounds their work and guides their other programing. The bike tour ended back at Dudley Park after a ride through downtown on Hancock Avenue, another tier-one project in the Athens in Motion bike-pedestrian plan. The e-bike ride was a clear success — smiles all around. Mariah Parker, already a bike enthusiast, appreciated being able to see how the Firefly bridge over Trail Creek would actually link East Athens to downtown on an easy-to-travel level path, avoiding the steep hills in and out of Dudley Park. 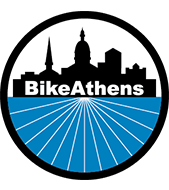 Commissioner Ovita Thornton, back on a bike for the first time after forty years, exclaimed that she saw the “future of Athens.” She went on, “I learned so much… BikeAthens provides a valuable service to those needing transportation.” Commissioner Thornton is right. Bikes and the infrastructure to support them are an unquestionable part of Athens’ future, made obvious through Saturday’s e-bike tour.